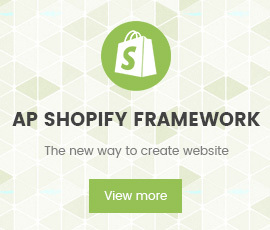 Apollotheme is a professional provider of Prestashop Template. With more than 9 years of experience, we bring many modern and perfect themes to everyone. With the aim of providing high-quality products for customers, our talented team always tries to work hard and catch up the new trend of technology and design to give you more valued templates with a unique combination of new ideas, flexible architecture and easy-to-use products. We are really appreciated it and hope that you enjoy it! Apollo’s Template want bring the highest customer satisfaction, we have professional supporting team to assist all our buyers. iPresta since 2011 with years of experience in PrestaShop localization, addons and services is ready to help you get the most out of your online PrestaShop-based store in shortest period. iPresta is the one and only exclusive premium PrestaShop partner in Iran which started its job to develop PrestaShop and its stores base in Iran and till now it could offer its services and products to more than 5000 clients. Building relationships plays a very important part in running a successful business. Because of this, we have built healthy relationships with our Partner in Iran, IPresta (the premium PrestaShop partner in Iran). After some negotiations between IPresta and Apollothemes, the partnership relation has been established. Thanks to that, from now on, the iPresta would be take responsibility to provide Apollo’s Prestashop themes to Iranian people legally featuring Persian localizations and within the original license and official support. How to buy ApolloThemes products from Iran? Since Iranian users don’t have access to buy directly from ApolloThemes website, the iPresta team provided our PrestaShop themes to buy them directly from “iPrestaAddons Section” and download the themes from their user account. Iranian users will pay the fee online in Iranian Rials through their Iranian debit cards. The iPresta team started the localization process of ApolloThemes for Persian language. They’ll put our themes one by one inside the addons.ipresta.ir website. If you’ve a specific themes from our collection in your mind, you can send the link to the iPresta and tell them to localize it for you. 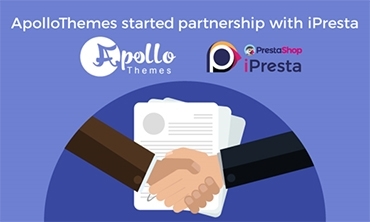 We hope that with this new partnership relation, both of us, iPresta and Apollothemes will be well on our way to positive business growth in order to bring the best quality products to our customers.